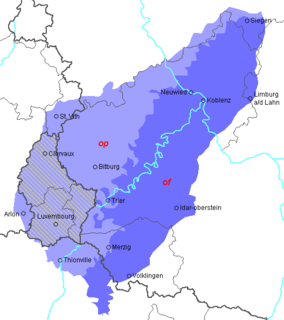 "Ons Heemecht" (pronounced [ons ˈheːməɕt]) is the national anthem of Luxembourg. The title in Luxembourgish translates as "Our Homeland". Michel Lentz wrote the words in 1859, and they were set to music by Jean Antoine Zinnen in 1864. 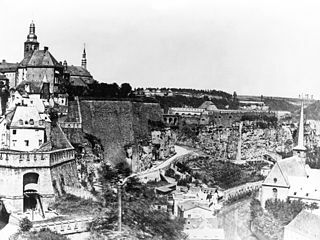 The song was first performed in public in Ettelbruck, a town at the confluence of the Alzette and Sauer rivers (both of which are mentioned in the song) on 5 June 1864. The first and the last stanza of "Ons Heemecht" were adopted as Luxembourg's national anthem in 1895. It was added as one of the official national emblems, alongside the national flag, national coat of arms, and the Grand Duke's Official Birthday, on 17 June 1993. "Ons Heemecht" is the national anthem; the royal anthem, or more accurately the grand ducal anthem, is "De Wilhelmus". The music of "De Wilhelmus" has its origin in "Wilhelmus", the national anthem of the Netherlands. Déi mir sou laang gesinn! we carry in our hearts. How good it is to be at Home. And our eyes shine like fire. that we have seen for such a long time. ^ The official anthem consists of only the first and fourth stanzas. Wikimedia Commons has media related to National anthem of Luxembourg. "Wilhelmus van Nassouwe", usually known just as the "Wilhelmus", is the national anthem of the Kingdom of the Netherlands. It dates back to at least 1572, making it the national anthem with the oldest music. Although the "Wilhelmus" was not recognized as the official national anthem until 1932, it has always been popular with parts of the Dutch population and resurfaced on several occasions in the course of Dutch history before gaining its present status. It was also the anthem of the Netherlands Antilles from 1954 to 1964. "La Marseillaise" is the national anthem of France. The song was written in 1792 by Claude Joseph Rouget de Lisle in Strasbourg after the declaration of war by France against Austria, and was originally titled "Chant de guerre pour l'Armée du Rhin". 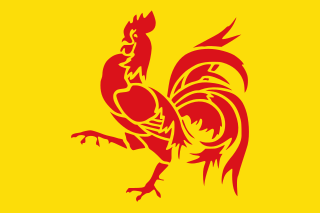 Le Chant des Wallons (The Song of the Walloons) is the anthem of Wallonia (Belgium). Tera di Solo y suave biento is the national anthem of Bonaire. The lyrics are in the Papiamento language. It was also the anthem of the Netherlands Antilles between 1964-2000. Raymond Berthiaume was a jazz singer, musician, producer and composer from Quebec, Canada. Dominique Lang (1874–1919) is considered to be Luxembourg's most important Impressionist painter. He painted both portraits and landscapes although he was employed as a high-school teacher.